Make your own perfectly blistered, lightly salted Passover matzo at home with Alon Shaya's recipe. If you really want to impress your Passover guests (or fellow seder-goers), whip up a big batch of fresh matzo at home. Trust us, you’ll probably go through the whole thing before you’ve finished ticking off the plagues. 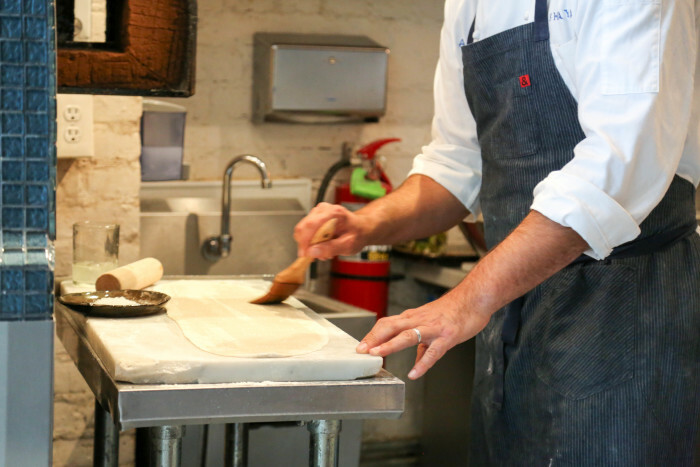 We reached out to James Beard Award–winning chef Alon Shaya of New Orleans’ renowned Domenica, Pizza Domenica, and modern Israeli restaurant Shaya, to learn how to make this super-easy and extra-delicious Jewish staple. Grab a bag of high-gluten flour, break out the pasta roller and get to work! Preheat an oven with a pizza stone to the highest setting. 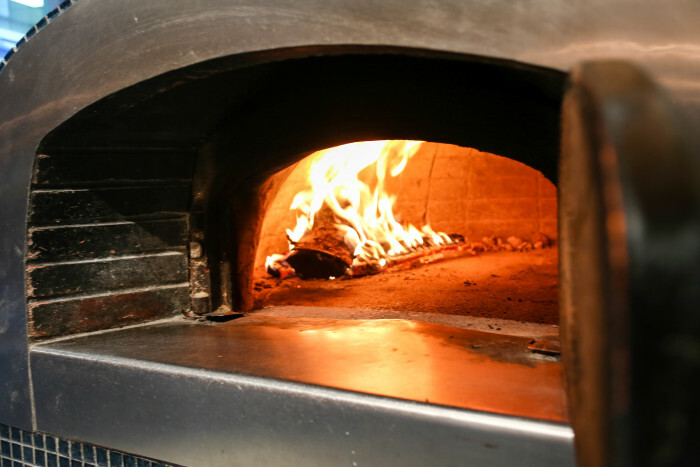 We use a wood-burning oven at Shaya that runs at about 800°F, so the hotter the better. 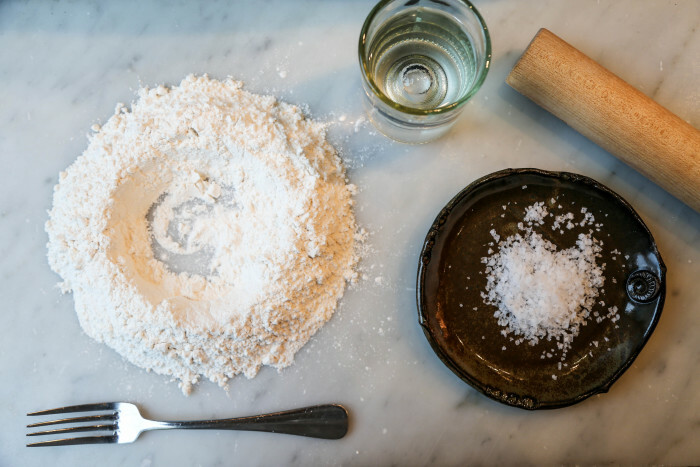 Mix together 2 parts of high-gluten flour to one part water, with a pinch of salt, until a dough forms. 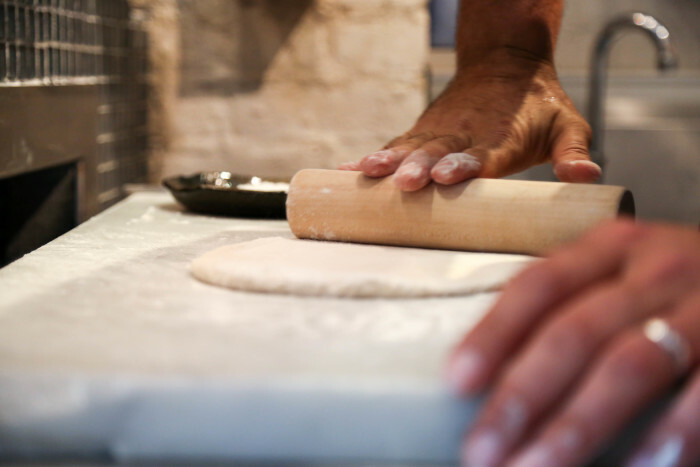 Knead the dough a few times with your hands to make it nice and elastic. Make sure the dough is on the drier side, or you will have a hard time getting it too thin without tearing. Using a rolling pin, roll the dough as flat as you can get it; about 1/2 inch in thickness is ideal. Then cut it into rectangles that will fit nicely into your pasta roller. Roll in pasta roller to a setting that makes the dough 1/8 of an inch or so. Dip a pastry brush into some water, and brush the top of the dough until just coated. Sprinkle some sea salt on top. 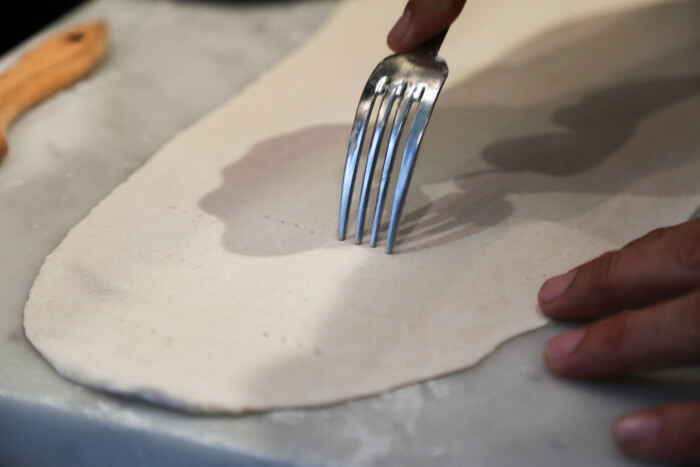 Take a fork and dock the dough by making about a few dozen holes in it. This will prevent it from rising. 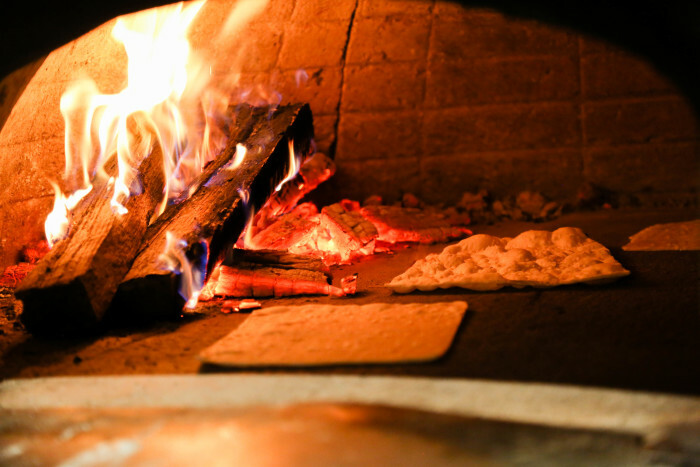 Slide the matzo onto a wooden paddle, then slide onto the pizza stone in the hot oven. Let cook until golden and crispy, approximately 3-5 minutes. Remove from the oven and enjoy.